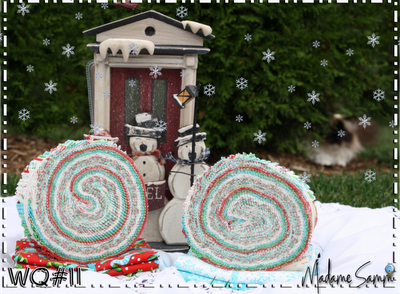 58 Responses to Jelly Roll Giveaway! I have just started quilting. Thank you for all the great info! And the dog pics. My quilts all have dog hair on them. And sometimes bits of Cheetos. Enjoyed the tutorial. I think that is one a newby Wantobe could easily do. Cute dogs.. Hope you're feeling okay today. I am over from madame Samm's! Great post over there this morning! 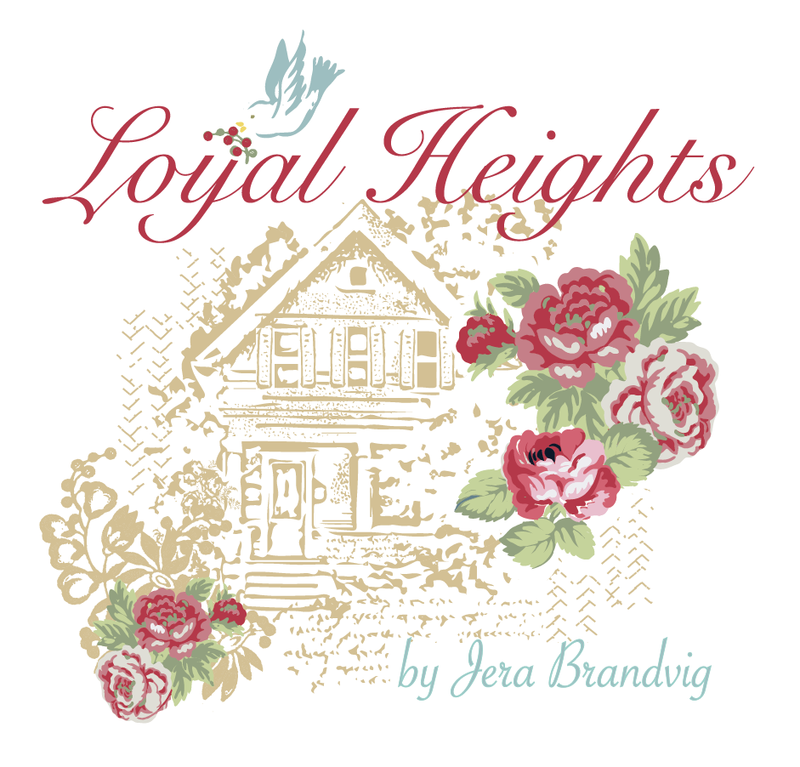 Hi Jera…I just became a follower of yours. Found you on Stash Manicure where you left a wonderful tut on making an easy quilt! Congrats on your new addition to your family and thanks for sharing pics of your two dogs. They are cute! I am a wantobe from Sew We Quilt! Thanks for such a great post over there! I think I can make that quilt! I am going to give it a try! I will have to find just the right fabric! Thank you so much for such a great post! I'm also a wantobe from sew we quilt! Thank you sooo much for your post! I am really excited to follow you! You make everything sound so easy and will definitely be making this quilt! Hello Jera! Congratulations to you, your husband, Bodie and Paige on your "bun in the oven"! I'm delighted to find you and can't wait to read more of your blog. I am a new follower and added you to my Google home page as well so I won't miss a post. Enjoy the gorgeous PNW for me! Great tutorial over on Stash Manicure! Can't wait to see your new Moda bakeshop project! Love the dog rolling around in your work! I'm a Wantobe Quilter and read your post. That is exactly what I am looking for as a first quilt pattern.You make it look sew easy. 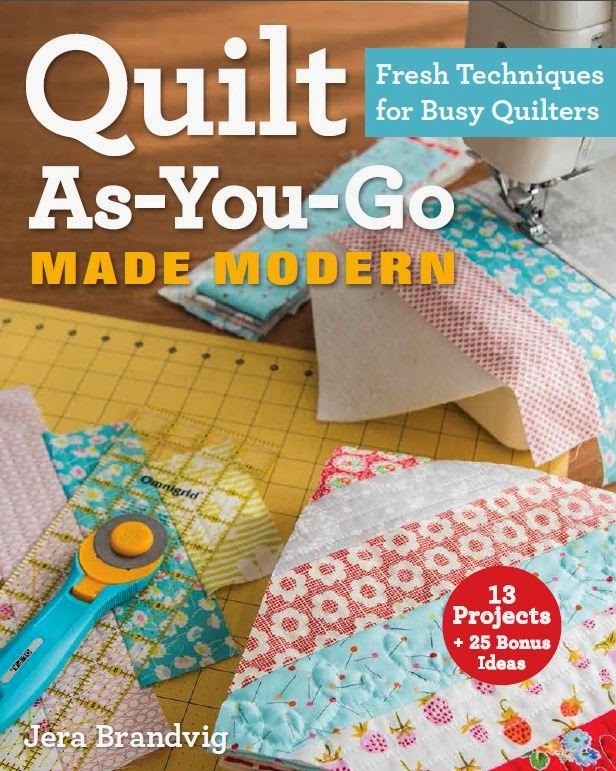 I'm a Wantobe Quilter, too! Saw your post today and I love your quilt!! Love the fabric, too! hahaha!! Just like the kids!! Looking forward to seeing more of the turorial! Too funny – my Chow does the same and it's hard to do anything on the floor – her territory. And just think – in about a year you'll have another one on the floor rolling around with the older 'siblings'. 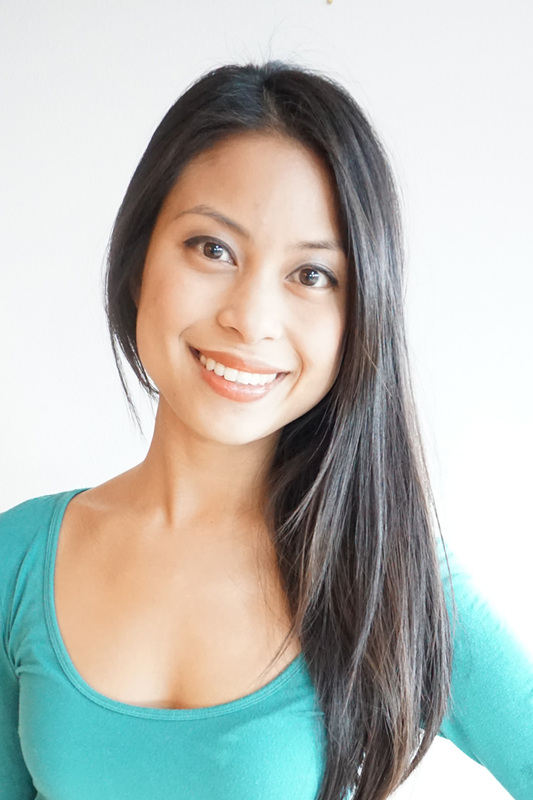 I'm happy that you were able to attract many new followers from your appearance at Stash Manicure. Paige may be the one who executed the move, but I am convinced that Brody is the mastermind. There is something very mischeivous about the look in his eyes. Love your tutes and patterns! Thanks for all your hard work! I have learned so much from you. I have never had a jelly roll so that would be a sweet treat for sure! Funny, funny! It reminds me of when I was in college an my cat would sit directly on the textbook that I was trying to study. cute pics! my cats like to "help" the same way – by reorganizing my blocks! A new follower here from Sew We Quilt, and I love your tutorial. It looks like something I could do fairly quickly and easily. I am still learning all I can about quilting and slowing getting in the groove. I am still a Wantobe Quilter! The hardest part of your tutorial would be choosing the fabrics for the focus. LOL Congratulations on the bun in the oven. I know you are excited! I have been following you for a while now. Love looking at your handiwork. I am a wantobe from Grandmama's Stories. Thanks for making things look easy. 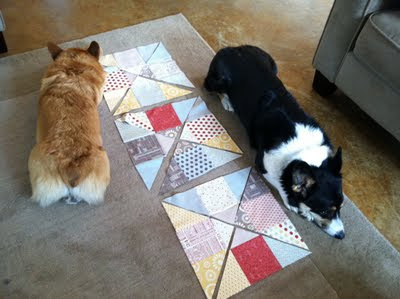 What a treat — quilts AND corgis! I, too, have two corgis (Duncan is the Party Corgi and Oliver is the Worry Corgi). So pleased to find your blog from Wantobe quilters — I'm one of the "quilters" looking in on the Wantobes. Thanks for the tutorial; looks like one a beginner like myself could do. Thanks for sharing the pictures of your helpers; it was my smile for the morning. 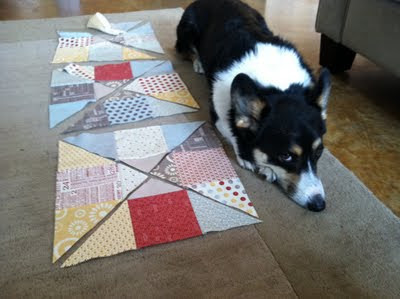 I love the picture of your dog messing up your patchwork. I used to have a cat who did that. At the time, I was sewing a lot and I would put the fabric out and then the tissue paper patterns and she would come racing in as soon as she heard that rustle. Even though she messed it all up, I thought it was really funny. Saw you over at Stash manicure and liked the pattern you posted there. Great tutorial! Thanks for sharing. I am a new friend, Madame Samm sent me! 1. Corgis are the best! 2. Your pieces are beautiful! 3. The tutorial on Sew We Quilt is so appealing. Thanks for sharing. Not a new follower, I am an experienced quilter. I just had to say that I loved your tutorial and pattern on Stash. Isn't it funny how our furry friends love fabric, and helping. I'm a new follower thanks to your post at Madame Samm's. Thanks for the simple ideas..and the great tutorial. And for being a part of the Wantobe Quilter experience! 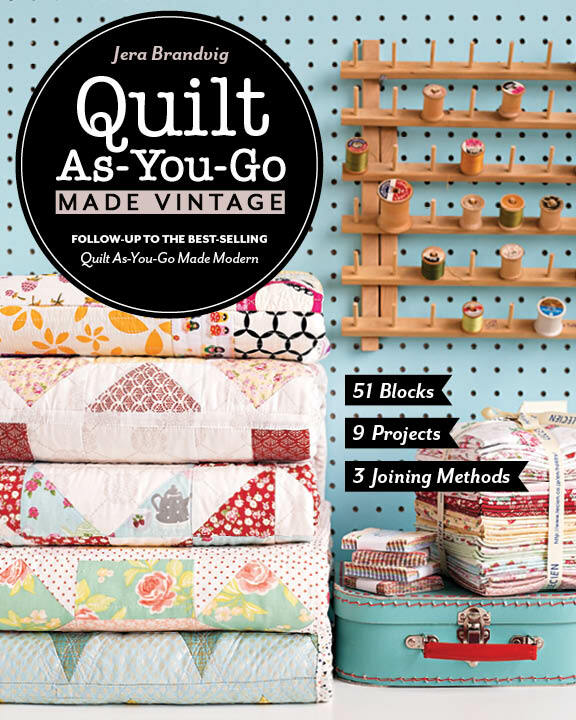 Iam a wantobe quilter….and thank you for the turtorial I want to make one. agnes pat. 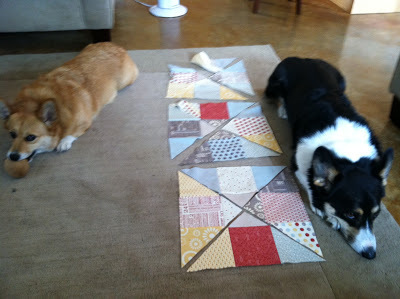 I am a follower & really enjoy your blog:) I also have two helpers when I quilt! Congratulations on your baby bump! Hi Jera–I came here from Stash Manicure and decided to stay, and follow, when I saw the picture of Paige rolling on your blocks. I have so many pictures of our dogs or cats lounging on my quilts-in-progress. After the quilt is finished, that makes it especially dear, at least in our house. Hi Jera — I am a new follower here. Thanks for a simple pattern that is easy to try for a wantobe like me. I came to visit from Sew We Quilt. I also live in the Seattle area and have one dog that provides enough hair to stuff a pillow each week. (I really don't use her hair for that) I enjoyed my visit to your blog. I'm here from Stash Manicure and now a new follower. Love your tutorial and will definitely have to give it a try. i saw your tutorial on sew we quilt, thanks for sharing it. 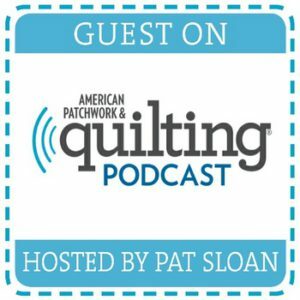 Love your quilt and tute on SM! Lol, are dog hairs as difficult to remove from quilting fabric as cat hairs? Farm cats also can't be taught to wipe their dirty little paws when they come inside and decide your fabrics are the ideal place for a snooze! I'm a new Follower! And already follow Stash Manicure. 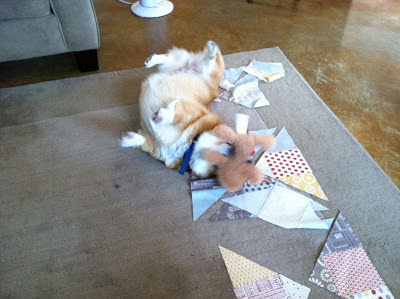 Greetings: I very much enjoyed the sample quilt you posted on the blog. Looks like it would be a great starter quilt. I am a wantobe quilter just trying to get started. Thanks for sharing. Hi there, I'm a new follower from the Wantobe Quilter campaign! I don't even know what a jelly roll is yet, geez. Told you – wannabe! Kathy from It's Only Natural sent me over! Jera, I loved your quilt tutorial on SEW WE Quilt. It was so creatively simple and yet wonderful. I, too, loved your color choices. It's on my list of quilts-to-make. Thanks you. I am a Wantobe from sew we quilt. I decided a few weeks ago to learn how to quilt. I am having so much fun learning and look forward to making your "Singing in the Rain" quilt for one of my daughters. Thanks for sharing! I don't know much about quilting, but I love your tutorials. Hopefully I will get better. Thank you for the tutorial that Stash Manicure sent me. I'm started last year learning to quilt. Congrats on the impending arrival. There's nothing like it! Sooo cute! I love your furbabies! corgi's are they cutest!